Buying Marina Del Rey CA Real Estate is not just about buying a house or a Condominium; it's about investing in a way of life. Marina Del Rey offers an exclusive lifestyle that is characterized by both Los Angeles fame and fortune and the vast beauty of the natural surroundings. Living in Marina Del Rey, CA real estate will make you feel like you've arrived, and the close proximity of the beach as well as the rest of the coast by way of the Pacific Coast Highway will provide countless options for entertainment and relaxation. The range and quality of available properties in Marina Del Rey are unmatched by any of the other beach communities in Los Angeles County. Owning a Marina Del Rey estate, condominium or luxury home, oceanfront home, or ocean view Condominium ensures a sound investment in the real estate market, and an equally valuable investment in your future. Marina Del Rey is an area that continues to grow and offer its residents luxurious Condominiums, homes and future possibility of appreciating home value. Marina Del Rey has proven itself as an excellent place to live for singles, families, and long time residents. A dedicated community, a fantastic location, top notch city services, Marina Del Rey truly embraces its residents and continues to attract savy investors from all over. 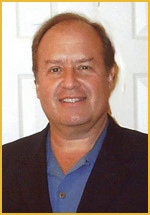 Richard Chernock can show you why owning Marina Del Rey CA real estate is the right decision for you.